The Standing Ovation singer has recently signed with Roc Nation, and Don Jazzy revealed that the Tiwa Savage’s Roc Nation deal is only a management deal. Hence, Tiwa is still a Mavin act. 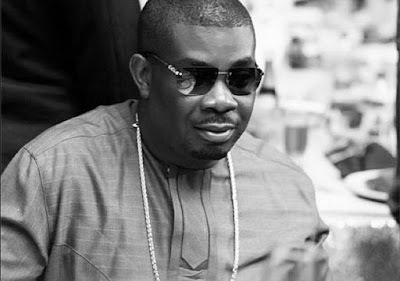 Speaking to Notjustok TV, Don Jazzy said: “With this particular situation, Tiwa now has a new manager and for people who think she has left Mavin to Roc nation, that is not what it is. She is still signed to Mavin records as an artiste but her management is on Roc nation. It is beautiful; they have used their power to open doors that we cannot open at the moment ourselves. “This particular deal is just a management deal for Tiwa, we are in touch with different companies including Roc Nation for distribution of Mavin in general. When it is concrete, I will come and tell you.